The SMU cheerleading family together with SMUAA and Office of Alumni Relations celebrated the launch of Flare Alumni Group on 9 November 2015. Started out as an all-girl stunt team Sapphire in 2003, the competitive cheerleading group became a co-ed team in 2007 and was renamed to Flare. The reunion was filled with hugs and smiles as the close-knit group caught up with one another, reminisce past achievements and discussed future plans. There were laughters aplenty as videos and photos featuring members past and present during their time cheering for SMU was played. Flare AG Exco President, James Yeo (BAcc, Class of 2012) shared the Alumni Group’s objective of bringing the SMU’s cheerleading community together by providing an avenue for alumni cheerleading enthusiasts to continue their love for the sport beyond graduation. In future, the Flare Alumni Group hopes to eventually give back to the CCA that fuelled their passion. 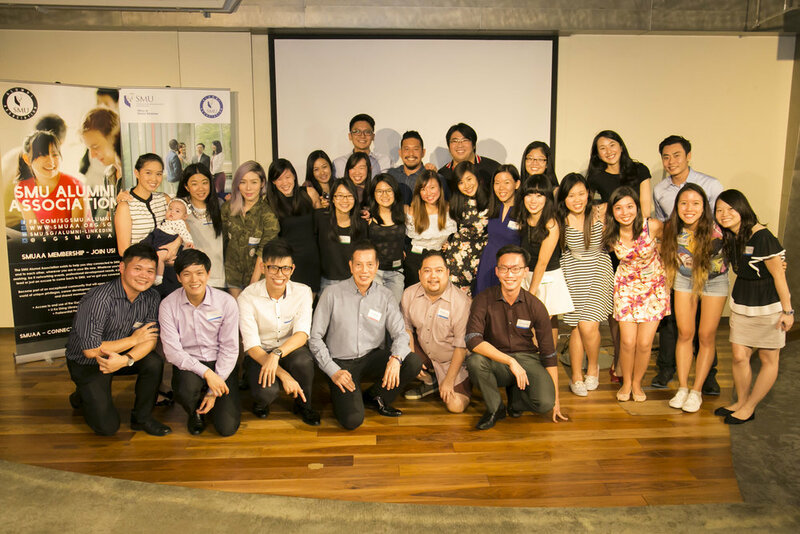 Congratulating the group on their launch, Director of SMU Office of Alumni Relations Associate Professor Low Aik Meng was heartened to see more alumni stepping up to form alumni groups and bringing the SMU alumni community together through the various common interests. If you were once part of the SMU’s cheerleading community and would like to join the alumni group, do contact SMU Alumni Association at hello@smuaa.org.sg or the Office of Alumni Relations at alumni@smu.edu.sg.